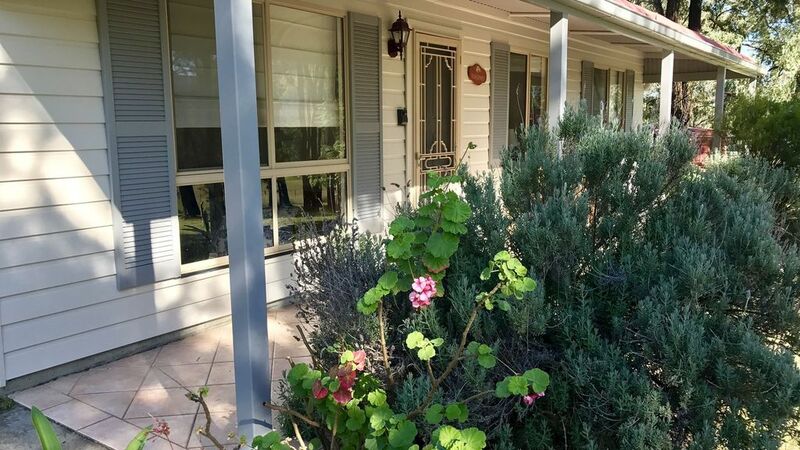 Nestled on 25 acres in the foothills of the Pokolbin State Forest with stunning views across open paddocks to the Brokenback ranges beyond, Rosebower cottage accommodates up to eleven people in a light and airy self-contained three-bedroom cottage. Less than 2 hours from Sydney you will have everything you need for a romantic getaway or to spend time as a group with family and friends. Just moments from your door are Hunter Valley cellar doors, restaurants, olive groves, concert venues, and golf courses. The cottage comes equipped with a full kitchen, reverse air-conditioning, TV, NBN internet access, video and CD players. Freshly laundered towels and bed linen are included, as are initial supplies of tea, coffee, sugar, salt and pepper. A selection of books and games are available, as well as an outdoor setting with gas BBQ. This is a 3 bedroom home offering bedding up to 8 guests. Pet Friendly - Dogs, cats and horses welcome. the reservations team prior to your stay to make arrangements. We had a wonderful time and would highly recommend to anyone wanting to have quiet family time. This is our second visit and will be going again. the place was great for me and my friends, great bbq and we have everything we needed in the place ! the place was great for me and my friends, great bbq and we have everything we needed in the place !!! We found the accommodation incredibly comfortable and surprising that there was enough crockery, cutlery and chairs around the dining room table which is often not the case. Nice and secluded. Also very clean.